We are excited to announce a partnership with the Why Not You Foundation on a new $100,000 scholarship program to help King County students achieve their college dreams! The partnership was announced at King County Library System’s Tukwila branch. 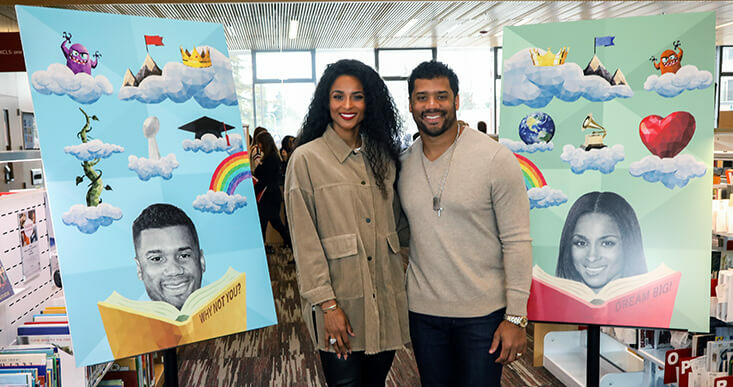 Students from nearby Foster High School were surprised with an appearance by Ciara and Russell Wilson as they shared their dreams for their future. Eight King County high school seniors will be selected for this needs-based scholarship this spring—four will receive $20,000 scholarships ($5,000 per year for four years) to attend a four-year public institution, and four will receive $5,000 scholarships ($2,500 per year for two years) to attend a community college or trade school. Scholarship recipients will be notified in May. 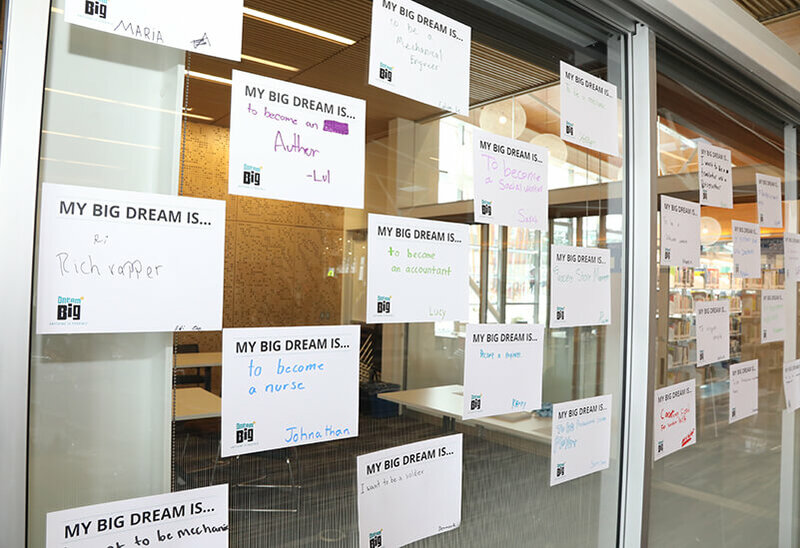 The scholarship is part of DREAM BIG: Anything is Possible, a teen empowerment campaign that provides access and opportunity to youth to help them achieve their dreams for a bright future. 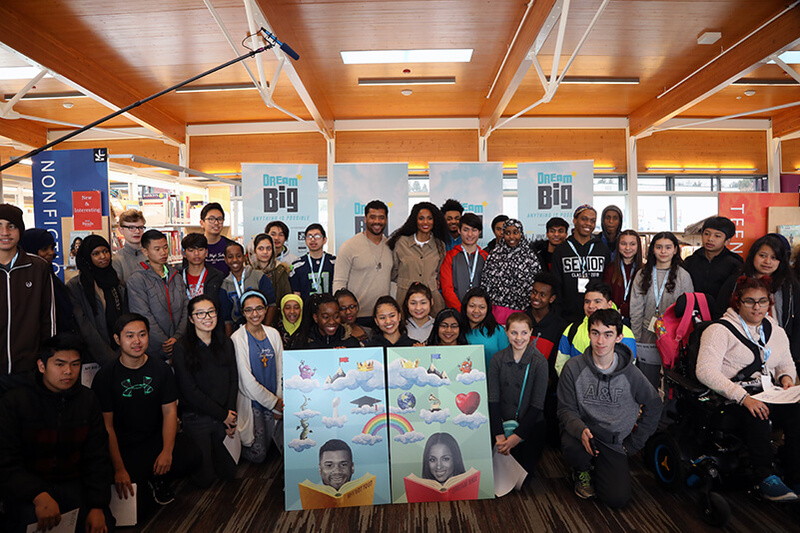 The campaign is a partnership between the Why Not You Foundation, the King County Library System and its Foundation, and JPMorganChase. 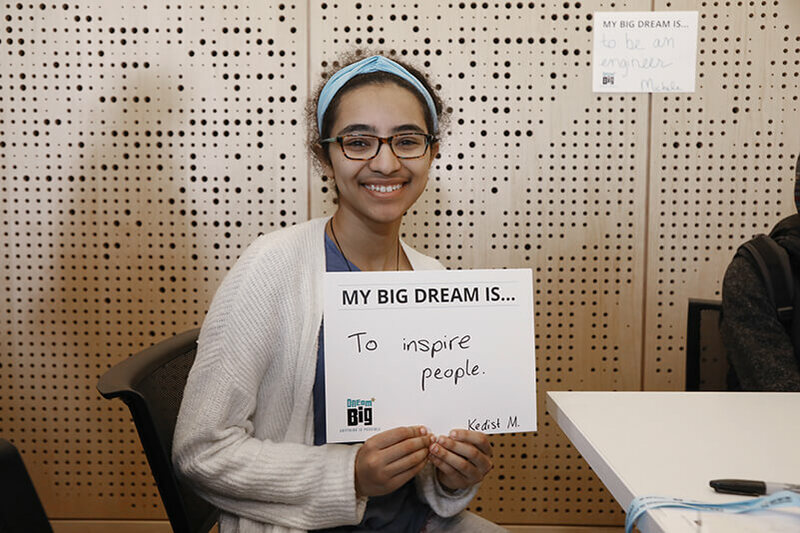 Learn more about the DREAM BIG campaign and the Why Not You Scholarship.